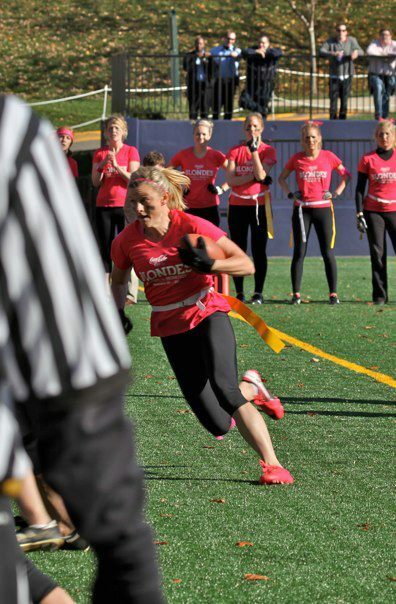 Landy Elliot raised $4,210 for Alzheimer's and Dotty helped her carry the ball. Blondes vs. Brunettes flag football game, Washington, DC. 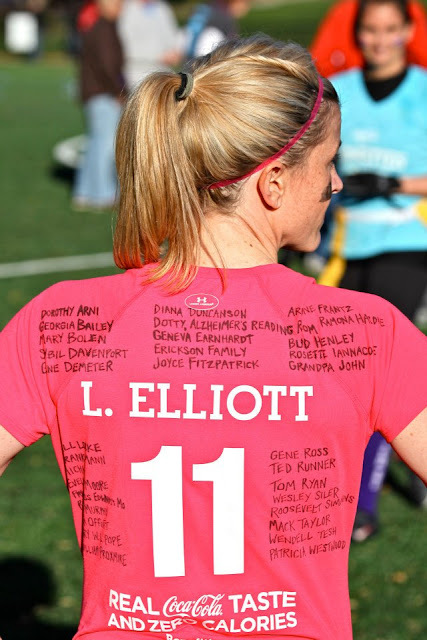 Dotty's name is on the back of Landy's football jersey. Great effort on her part.